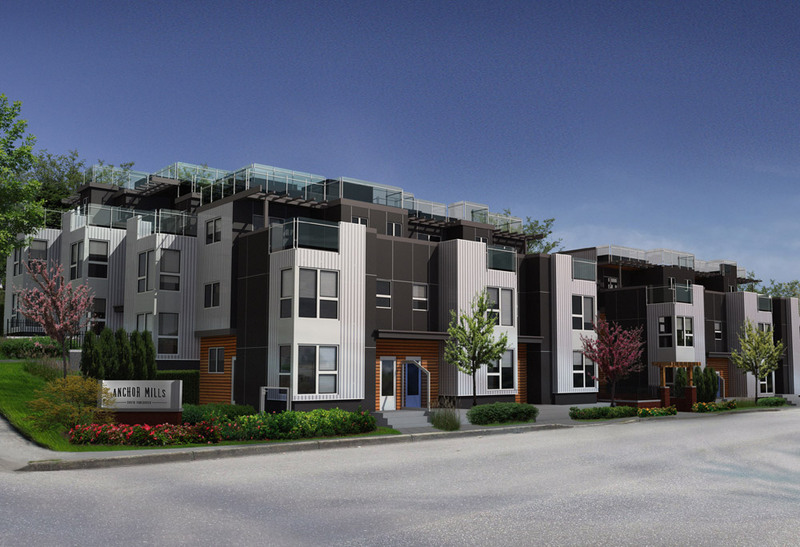 Anchor Mills, a limited collection of 15 townhomes is coming soon to South Vancouver. 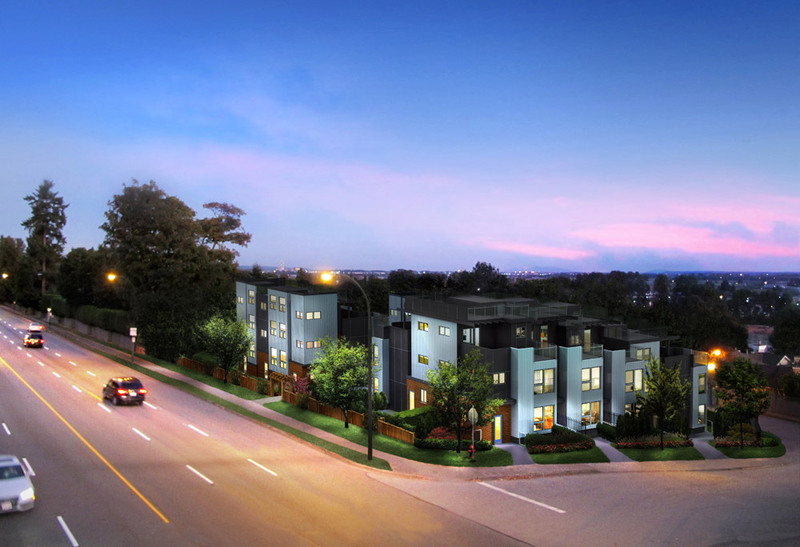 Designed with a contemporary west coast feel, this three building development by Tria Homes fits seamlessly into the Fraserview neighbourhood. Each three-storey home ranges from 1,196 to 1,233 sq. ft. and boasts an expansive floorplan with three spacious bedrooms, designer features throughout, and two expansive terraces including a private rooftop deck with views of the Fraser River. Live in “the middle of everywhere” at Anchor Mills. Three concrete, metal and cedar siding buildings with 15 units ranging from 1,196 – 1,233 sq.ft. Private rooftop patios (up to 1,000 sq.ft.) with panoramic views of the Fraser River and optional upgrade to include a 5-seat hot tub! 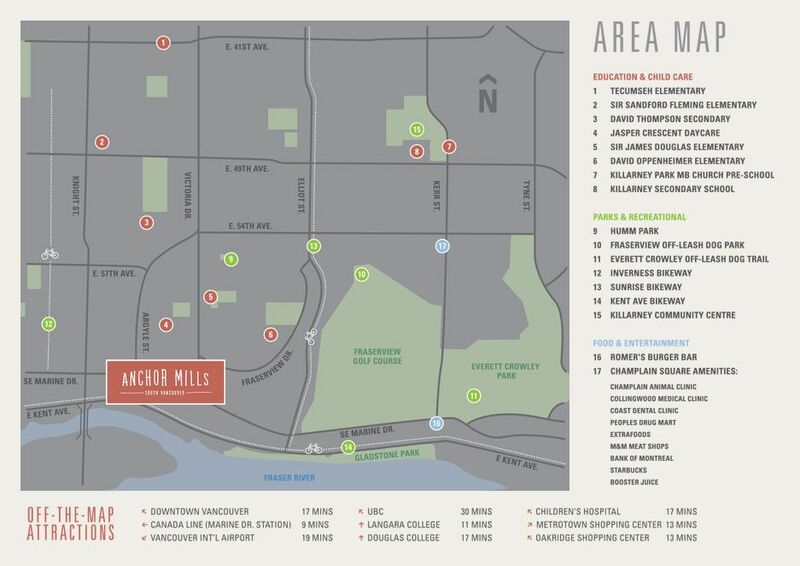 For more information on the Anchor Mills Townhomes in South Vancouver visit anchormills.com. If you have any questions about this new Vancouver development or any other real estate matter, please contact award winning Vancouver Realtor Jeff Fitzpatrick.